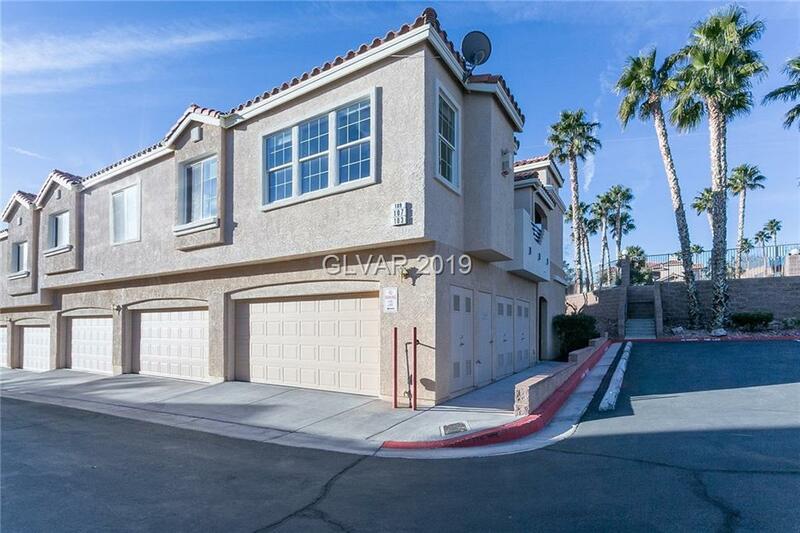 Condo living at its finest, with Lake Mead, Mountain, and pool views from your personal balcony & Living room! Minutes away from Lake Mead. This condo is located at the end of the building with pool access right out the front door! beautifully landscaped and well maintained community. Two car garage with new epoxy painted floor. Designer decorated home with no expense spared for upgrades. Community features secure RV/Boat storage. Directions: Take 93 Toward Lake Mead. Left On Lake Mountain Dr. Right On Bay View, Left On Lighthouse.